polymer: A Reich Without End? Having possibly the most unique sound among their illustrious label mates, Katharsis releases, especially since 2006’s monstrous 'VVorld VVithout End', are guaranteed to generate conversation, divide critics and not least of all, be snapped up promptly by fanatics. Despite a shaky and maybe ill-chosen title, 'Fourth Reich' does deliver the band’s brand of typically cavernous, delay-drenched, raw and pounding black metal. Though some of that trademark claustrophobia has been loosened for this release, giving the instruments more space to breathe and allowing more variation as a result, unrelenting primitivism free of any production embellishments abounds plentifully. The overall track structure and approach is more ambitious on this album; a great and strangely fitting guitar solo (by D. of Pagan BM outfit, Orlog) graces the final track, “Sinn Koronation”. 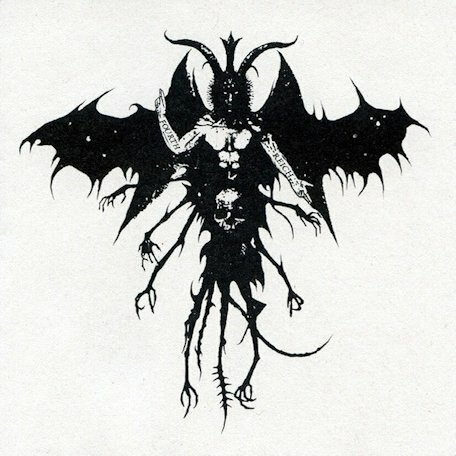 More than ever, Katharsis appear a confident act fully aware of their talents and effortlessly display a rare mastery of the inherent hypnosis that is black metal’s atmosphere. On 'Fourth Reich' material ranges from a mostly blast beat-filled attack to the odd mid-tempo section, the latter being, on this occasion, thankfully seldom, ensuring Katharsis stay as cacophonous as ever, albeit a little less oppressive sonically. There is nothing groundbreaking here, but this is black metal written and executed very well with moments of melodious surprise. However, an instrumental track, “Emeralde Graves”, found between the third and fourth tracks succeeds only in ruining the flow of the album and its ever-building atmosphere and could well have been omitted. Much like Funeral Mist’s recent 'Maranatha', 'Fourth Reich' had a lot to live up to: a well-fed and by now, headstrong predecessor whose notoriety verges on “landmark album” status, not just for the band concerned but for the genre of black metal itself. Nonetheless, 'Fourth Reich' remains a solid addition to Katharsis’s catalogue, but one that will forever tug at the robe tails of 'VVorld VVithout End'. Originally uploaded under the username 'torchia' to metal-archives.com, 9 June, 2009.